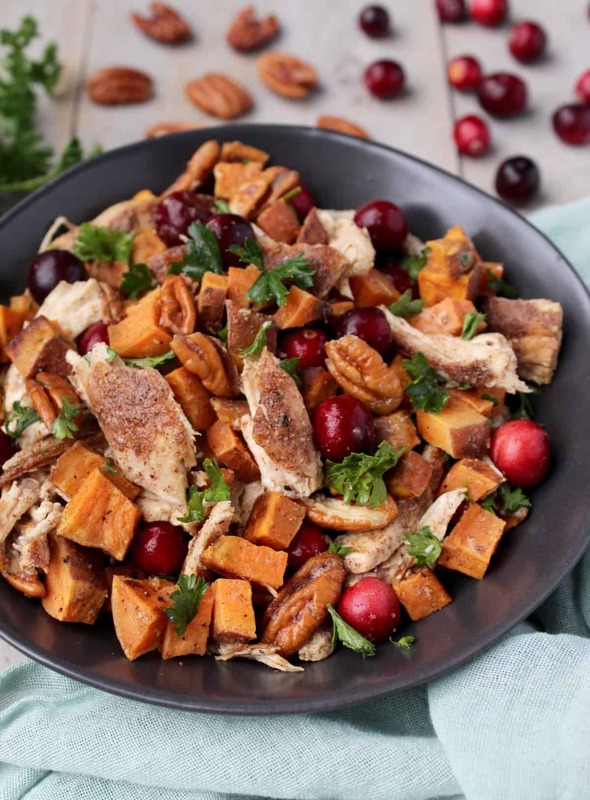 This Harvest Chicken & Sweet Potato Salad makes for a perfect healthy fall meal. Make it for a holiday party or meal prep to have it all week long. 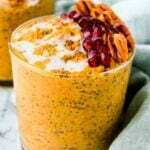 It is gluten free, dairy free, paleo, and Whole30 approved. I think I have said this a few times, but I think fall is officially here in Austin. The times before mother nature just tricked us. It was gorgeous out for a few days, but then the temperatures rose again. I think cooler weather is here to stay now. It has been pretty crappy the last few days though. Cloudy, lots of rain, and no sunshine. It was nice the first few days, but now I am kind of getting tired of it. It does make for perfect photography weather though! Life has been pretty uneventful lately. After a crazy October I really don’t mind though. 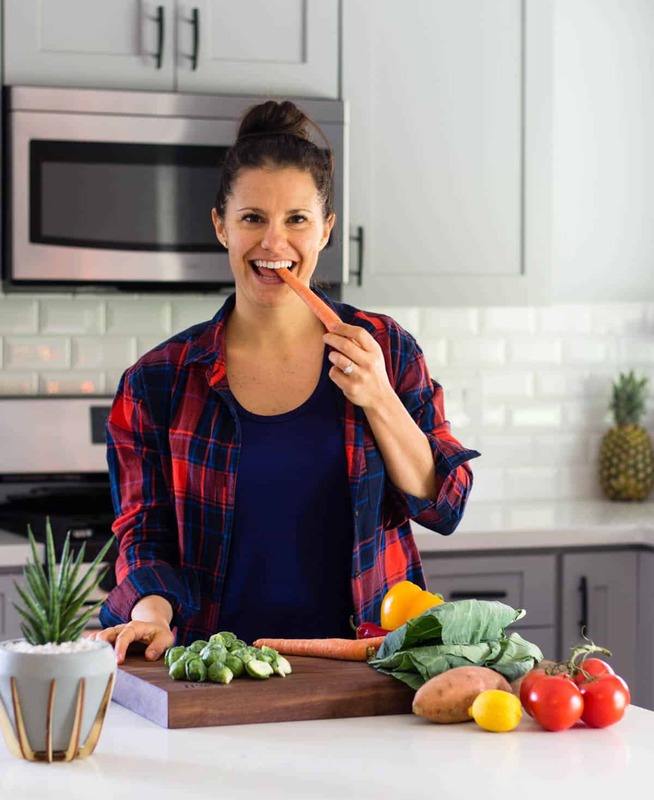 It has given me a lot of time to make some delicious recipes for you guys. And this salad y’all!! It just screams fall/Thanksgiving/holiday/all those buzz worthy terms right now. If you haven’t noticed I’m kinda obsessed with all those flavors right now. 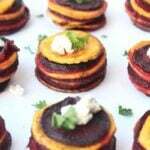 Hence these whipped sweet potatoes, sweet potato & beet stacks, pumpkin pie butter…the list can go on. 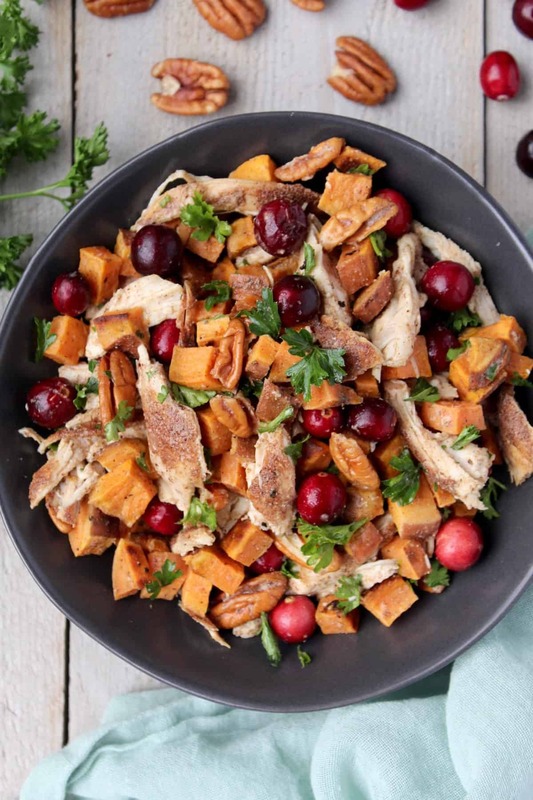 This chicken & sweet potato salad takes all those fall flavors and combines them together. 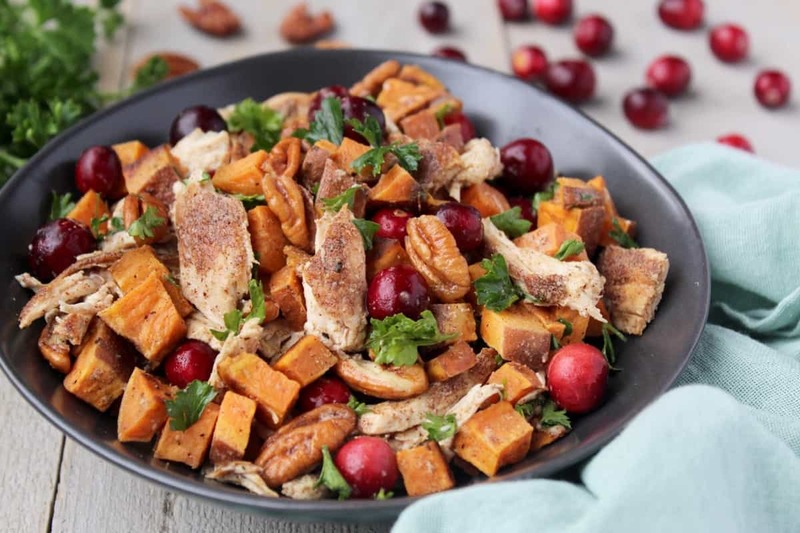 Roasted sweet potatoes, seasoned chicken, cranberries, pecans, and a cinnamon dressing. I used chicken for this recipe, but feel free to use turkey. It’s like Thanksgiving in bowl that way. This salad is also perfect for meal prep. It saves well so you can make it on Sunday and have it for the week. I have been taking a scoop and throwing it over some greens for an easy and balanced lunch. Plus there is a good balance of protein, carbs, and healthy fats. You can also throw the chicken in the crockpot instead of pan frying it to make it even more hands off! 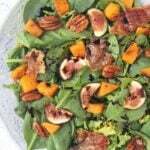 This salad makes for a perfect healthy fall meal. 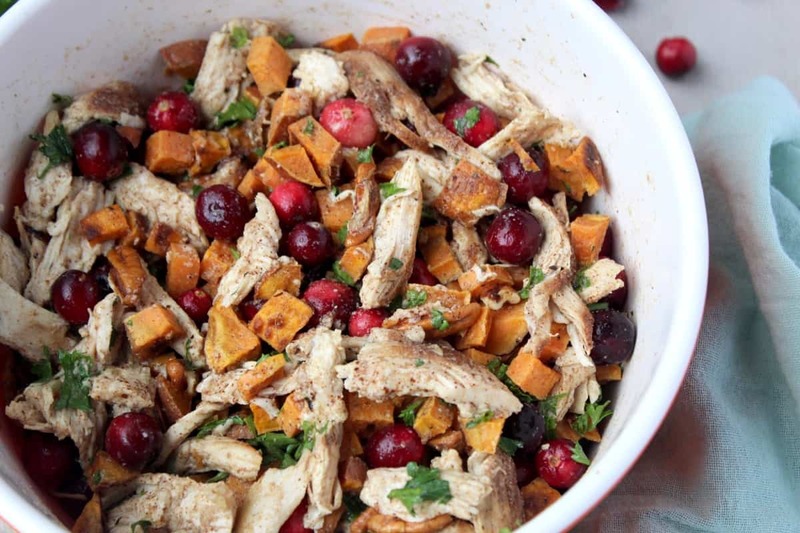 Make it for a holiday party or meal prep to have it all week long. It's gluten free, dairy free, paleo, and Whole30 approved. Preheat oven to 375 degrees Fahrenheit. Line two baking sheets with parchment paper. 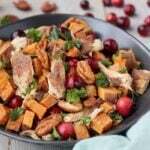 Mix diced sweet potatoes with 2 tablespoon avocado oil and salt and pepper. Place and baking sheets and roast for 30 minutes. While the sweet potatoes bake, make the chicken. Mix garlic, ginger, cinnamon, red pepper flakes, and salt and pepper in a small bowl. Rub evenly over chicken. Heat a medium skillet over medium heat. Add 1 teaspoon avocado oil and let it get hot, about 30 seconds. Cook chicken breast until cooked through and no pink remains, about 20 minutes. Once it is done, remove from heat and let cool. Shred with either a fork or pull apart with your hands. Make the dressing. Mix all ingredients in a small bowl. 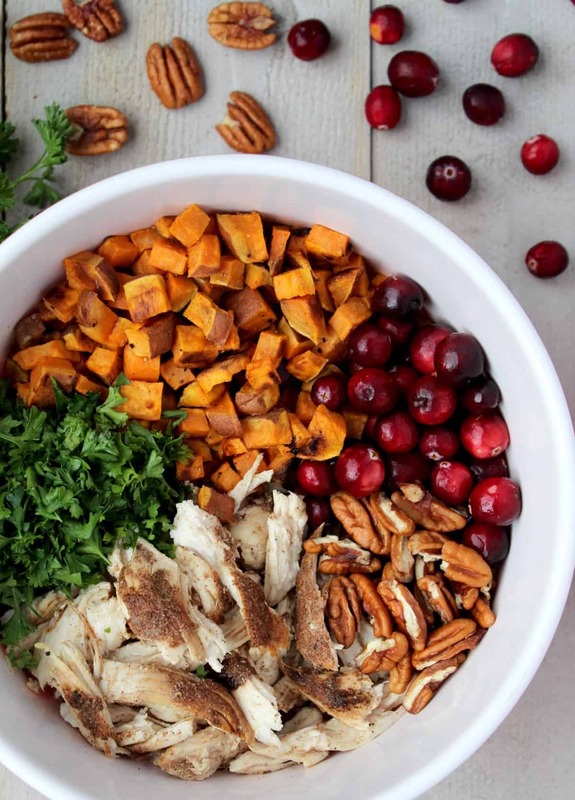 Place chicken, cranberries, pecans, parsley, and cooked sweet potatoes in a large bowl. Pour over dressing and mix well. Are you obsessed with all the fall flavors or not really into it? What are some easy things you make for meal prep? There are so many flavors here I love it! 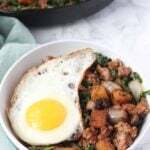 I’m obsessed with the fact that you added cilantro! I love adding fresh herbs to everything! Always adds a nice pop of flavor. I just made this again and realized it is parsley and not cilantro in the recipe haha! Your comment made me think like wait a second. Oops. At least I caught it haha! Yes fall flavors are so comforting! I use the plugin Easy Recipe and it is really easy to use. There are a few similar options like that out there as well. Congrats on starting your blog! Thanks Julie! We usually buy them as soon as we see them at Costco haha! Wow that’s an unusual salad that will hold for the week; this must be so sturdy. It looks delicious, and I’m thankful that fall weather has really lingered here in Colorado before the snow. It seems like it’s been a huge blessing as we soak in all the last moments of fall before the snow comes. This seriously sounds like the PERFECT fall salad. 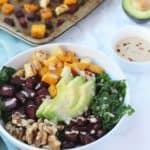 I’m also loving those dressing ingredients – definitely giving this a try! Thanks Jamie, I hope you like it! Do you eat the cranberries raw? I do Renee! But they are tart and some people might not like them raw. You could either cook them down a little or use dried cranberries. Hope that helps. 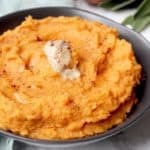 Did someone make this recipe in an Instant Pot? I want to make it and would love the directions.